Home to so much natural beauty, it comes as no surprise that the residents of Hornby Island have a lot to celebrate. Since 1982, the annual Hornby Festival has been drawing bigger crowds each summer to this well-loved event. This Canadian success story is now in its 30th incarnation, and the 2011 festival is gearing up to be its best yet. This year’s program is wholly inclusive with classical, jazz, world beat and traditional genres of music, modern dance, childrens’ programming, theatre and spoken word. 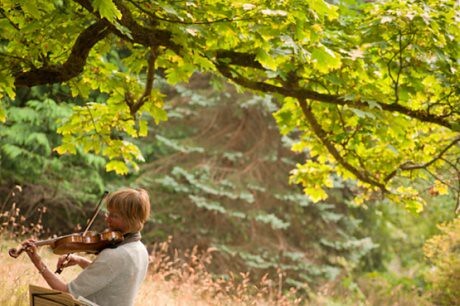 With venues dotted across Hornby Island, some of this year’s featured guests include the Purcell String Quartet, Juno Award winner David Francey, Big Machine, Adrian Dolan’s Old Time Dance and kids’ storytime workshops with Rae Maté, Deirdre Baker and (my personal favourite) Kit Pearson. 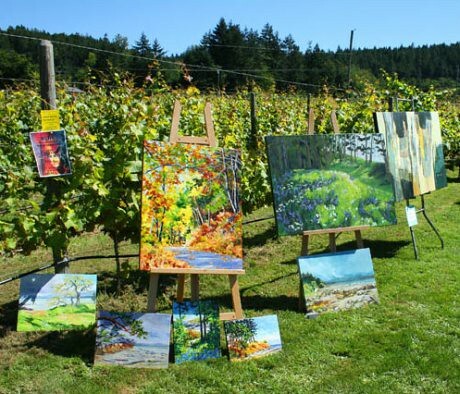 If acclaimed musicians aren’t enough, also be sure to check out Hornby Island resident Michael Hornsby‘s art exhibit at the Community Hall, “art in unusual places” across Hornby Island, the birdhouse auction and the annual quilt raffle at the Ringside Market. For anyone that’s ever visited Hornby Island, you know how uniquely special each of these events can be. Find out more about Hornby Festival 2011, the entire line up of events and performers or how you can become a Festival Society member on the official website. Hornby Festival 2011 runs from Thursday, July 28th until Saturday, August 6th. Tickets to the various performances can be purchased online. They generally sell out quickly so time is of the essence. If you plan on staying overnight on Hornby Island, be sure that you book accommodation in advance as it can be very limited and the ferries do not run late into the night. A round-up of accommodation options can be found here.